Handling family law as well as other civil and criminal issues, our attorneys at Johnson/Turner Legal have steered countless people in Minneapolis and the Twin Cities' area in Minnesota through disputes, planning and preparation. Our forward-thinking strategies mean that clients of our law office are protected now and in the future. Thanks to our range of services, we are able to bridge practice areas and address any issue our clients may have. Additionally, we use state-of-the-art electronic documentation that streamlines the process of moving through a case. Our attorneys are also connected to online legal research and current software. This saves our clients both time and money because it expedites the work that must be done. In fact, convenience is one of our top priorities. We have 10 law offices throughout the area. If clients struggle to come to us, we go to them. Additionally, we believe that quality representation should be made available to everyone. 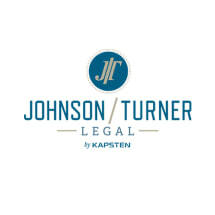 We work with our clients to provide options, and Johnson/Turner Legal accepts credit cards.